Predicting the next phase shift in the AMO. 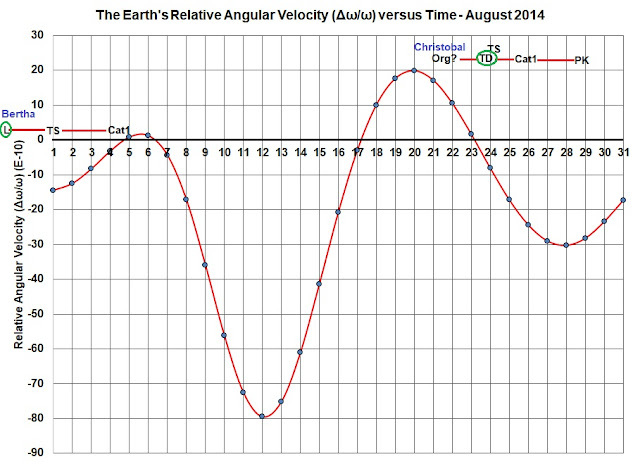 I predict that the next AMO shift (to a negative phase) will be around 2025 (please see the update below*). There is one important caveat to my prediction for the next transition date for the phase change of the AMO. Wilson, I.R.G. 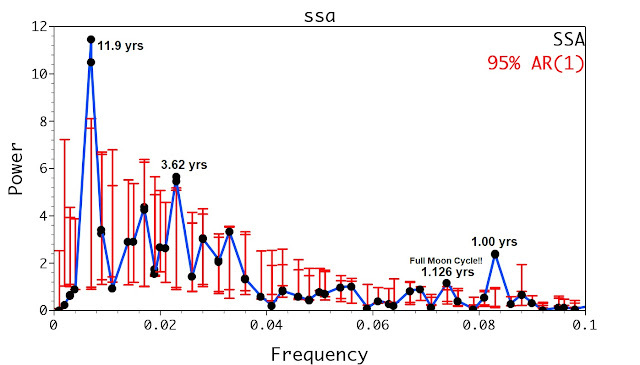 and Sidorenkov, N.S., 2019, A Luni-Solar Connection to Weather and Climate II: Extreme Perigean New/Full Moons & El Niño Events, The General Science Journal, Jan 2019, 7637. 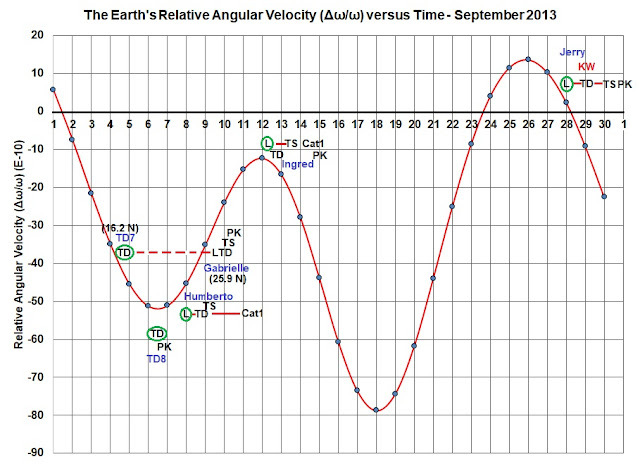 A more detailed analysis of the transitional spring tidal events in the Perigean Spring New/Full moon cycles shows that they slowly drift into and then out of alignment with the nominal seasonal boundaries. This means that the end of the epoch that starts in 1994.237 (i.e Epoch 6) may not be in 2025.243 (i.e. 31-year later – see table 2) as the spring tidal events would no longer be in close alignment with the seasonal boundaries. The most likely outcome is that epoch boundary marked by the strongest spring tidal events that align with the Spring Equinox near 2025.243 (i.e. 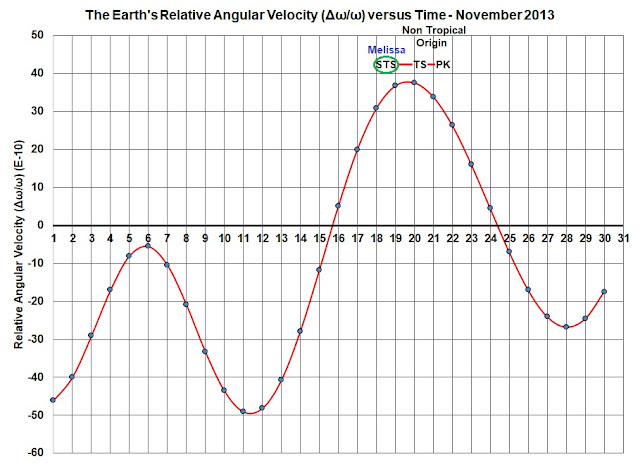 March 29th 15:15 UT 2025) would move back in time by 4.531 years to a new epoch boundary marked by the strongest spring tidal events that align with the Autumnal Equinox near 2020.712 (i.e. September 17th 17:33 U.T. 2020). Equinox) in the years 1870, 1901, 1932, 1963, and 1994. Hence, it is possible that the AMO may undergo a transition in its phase (from positive to negative) as early as 2020. 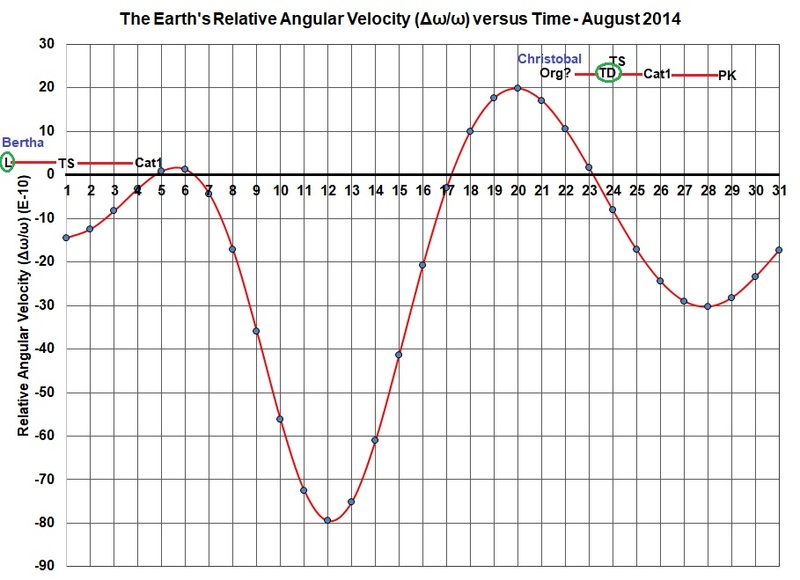 Evidence That the 11-Year Solar Cycle Influences the Strength of the Walker Circulation. During periods where the La Nina/Neutral mode of the ENSO dominates, the trade winds blow strongly from east to west across the equatorial Pacific Ocean. The presence of these strong winds results in a corresponding strengthening of the Walker circulation cell. Note that the trade winds are generally stronger during the La Nina phase compared to the Neutral phase. During periods where the El Nino mode of the ENSO dominates, the east to west flow of the trade winds across the equatorial Pacific Ocean substantially weaken. This results in a corresponding weakening of the Walker circulation cell. Let's consider the possibility that the natural forcing factors that produce a La Nina/Neutral mode in the ENSO are not the same as those that produce an El Nino mode. If this is true, then the main interaction between these two phenomena would just be that the presence of one would (by necessity) preclude the presence of the other. Hence, a more realistic investigation of the factors driving the La Nina/Neutral phenomenon could be carried out if the La Nina/Neutral component of an ENSO index time series could be isolated from its EL Nino component. One such index is the monthly Nino3.4 SST anomaly which exceeds 0.8 C when the ENSO in the equatorial Pacific Ocean is in an El Nino state. Clearly, there is no easy way to fully isolate the ENSO La Nina/Neutral state, however, it could be crudely done by simply setting all the monthly Nino3.4 SST anomalies above 0.8 C to zero. This would have the gross effect of partially subduing spectral component associated with the El Nino state. In the following, this time series will be referred to as the monthly Nina3.4 SST anomaly. The top plot in figure 1 (below) shows the monthly Nina3.4 SST anomaly from 1950 to 2017, with all SST anomalies > 0.8 C set to 0.0 C (black curve). The x-axis shows the number of months since the start of 1950. 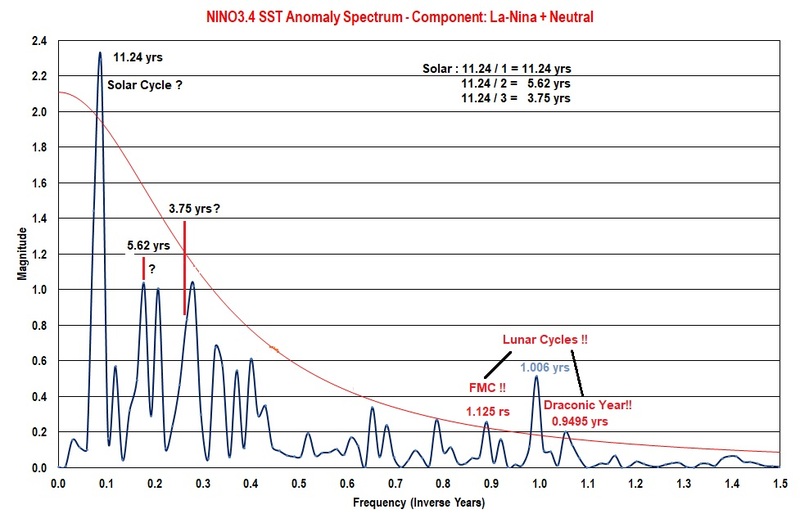 Superimposed on the top plot in figure 1 is the 11-year component (red curve) obtained from Singular Spectral Analysis (SSA) of the monthly Nina3.4 SST anomaly time series (see figure 3 below for the SSA plot). A comparison between the red and black curves shows that, except for a brief period around 1955 (i.e. ~ 65 months), the 11-year SSA component seems to match the smoothed long-term variations of the monthly Nina3.4 SST anomaly data. The bottom plot in figure 1 shows the monthly sunspot number (SSN) between 1950 and 2017, also plotted against the number of months since 1950. As you can see, there is a good phase match between the 11-year SSA spectral component and the 11-year cycle in the SSN. The authors of this paper provide robust evidence that the solar (sunspot) cycle affects decadal variability in the tropical Pacific. Using the analysis of independent observations, they demonstrate a slowdown of the Pacific Walker Circulation (PWC) at solar cycle maximum. d) the 11.24-year period tentatively associated with the 11.2-year Schwabe Cycle in the SSN. 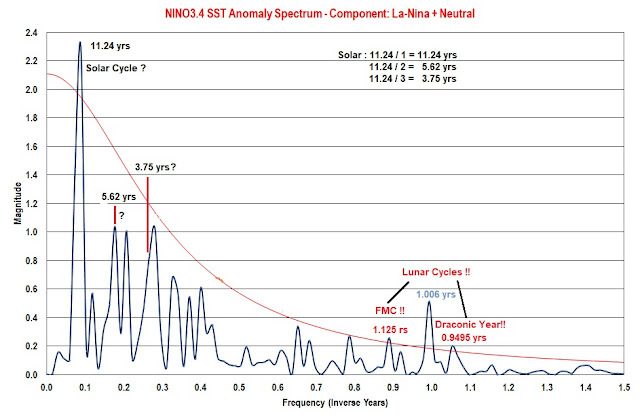 The presence of spectral peaks at periods associated with the FMC and the (lunar) Draconic year indicates that there must a lunar tidal influence upon the timing of the La Nina/Neutral component of the ENSO phenomenon. c) the 11.9-year period tentatively associated with the 11.2-year Schwabe Cycle in the SSN. d) the 3.62-year period tentatively associated with the 3.73-year 1/3rd Schwabe Cycle. Here is a succinct summary of Nikolay Sidorenkov's theoretical explanation for the observations that I have presented in this blog! Nikolay Sidorenkov is a true genius!! 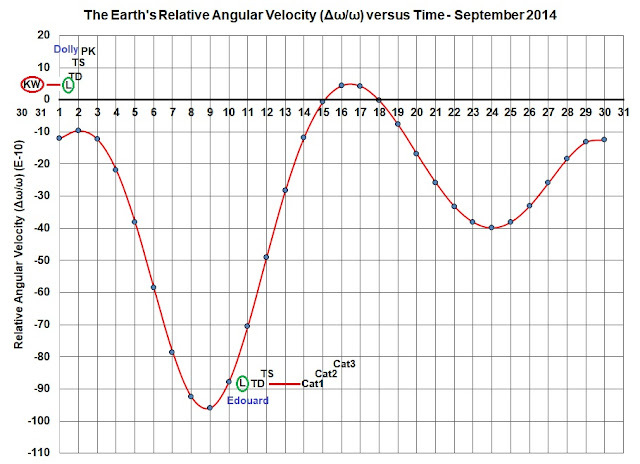 SUMMARY (if TL'DR): Just as the Earth's movement around the Sun produces the yearly seasonal cycles in the Earth's weather, the weekly movement of the Earth about the Earth-Moon barycentre produces weekly-seasons in the Earth's synoptic weather. Note: μ is what I call ((delta omega)/omega) in my earlier emails. 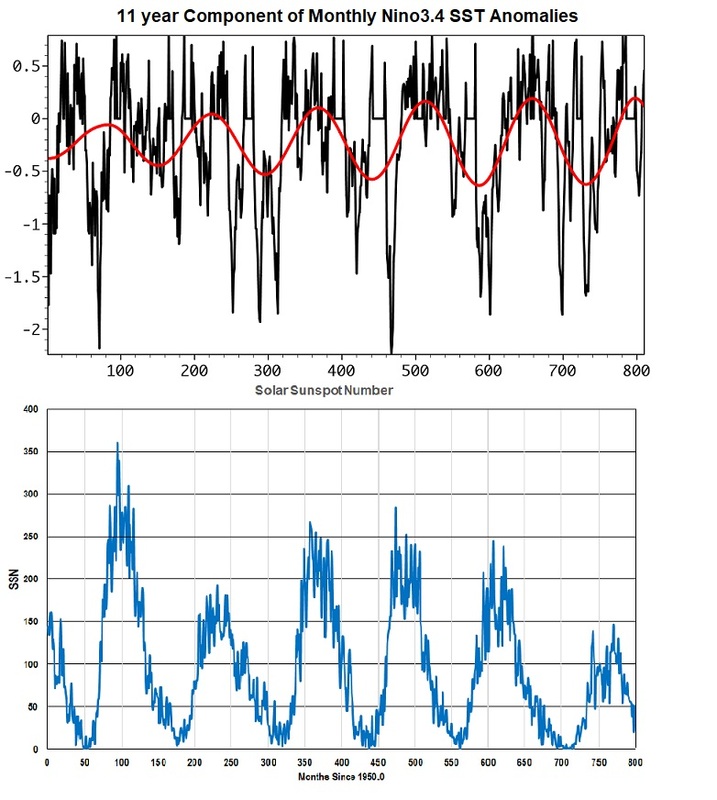 The monitoring of the tidal oscillations in the Earth’s rotational speed, the evolution of synoptic processes in the atmosphere, atmospheric circulation regimes and time variations in hydrometeorological characteristics showed that the majority of types of synoptic processes in the atmosphere vary synchronously with the tidal oscillations in the Earth’s rotational speed (Sidorenkov, 2002, 2009). Using historical data, we checked how often the extrema (minima or maxima) of the angular velocity ν coincide with the times of restructuring of elementary synoptic processes (ESPs) according to the typology proposed by G.Ya. Vangengeim (1935). 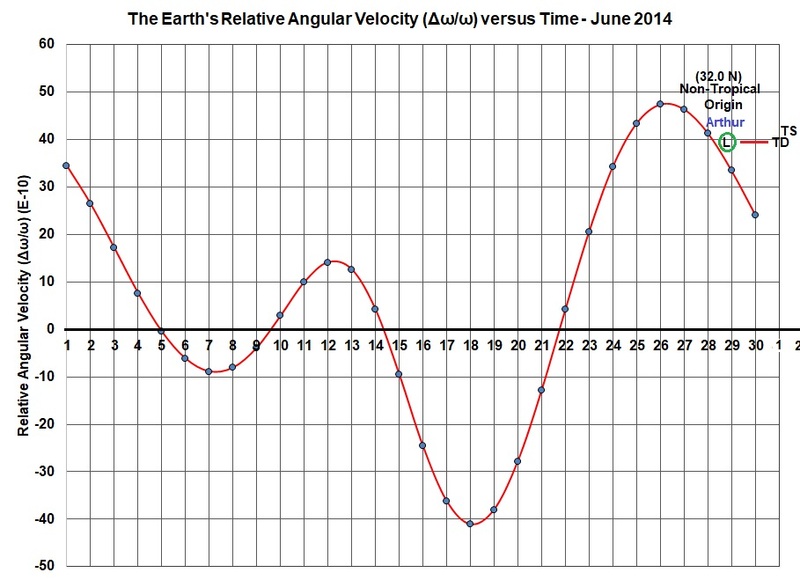 Statistical analysis showed that, in 76% of cases, the times of the extrema of the angular velocity ν coincide within ±1 day with the dates of ESP restructuring. In 24% of cases, the times of the extrema of ν differ by 2 days or more from the nearest dates of ESP restructuring (Sidorenko, 2000, 2002). 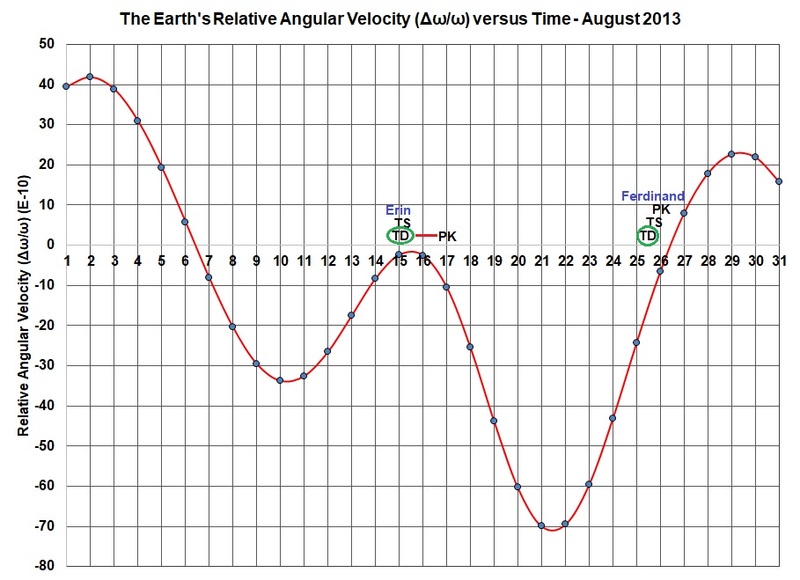 The long-term comparative monitoring of variations in meteorological characteristics in Moscow, Vladivostok, etc., with the pattern of tidal fluctuations in the Earth’s rotational speed ν (similar to those shown in Fig. 2) clearly confirms the conclusion that the weather variations coincide with the quasi-weekly extrema of ν (see the website: http://geoastro.ru). The changes in the weather regimes coincide with the extrema of the tidal oscillations in the rotational speed ν. 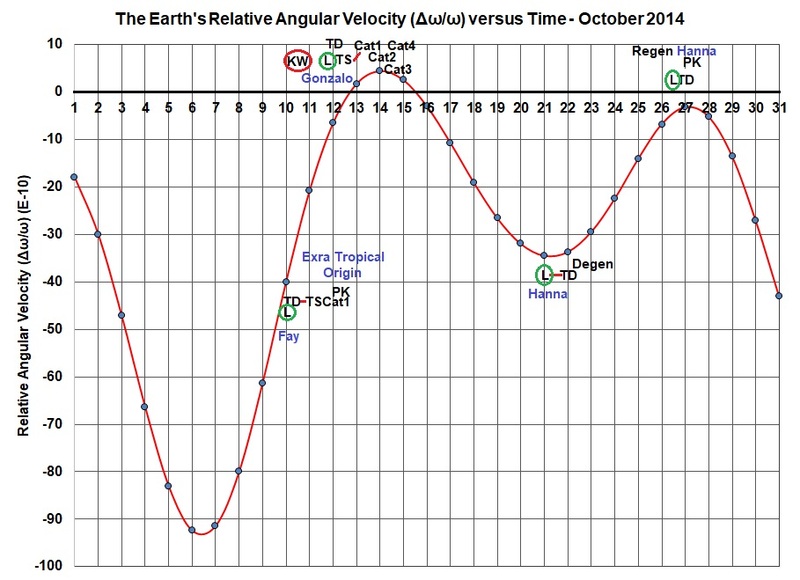 It is evident from all the above that the changes in the synoptic processes in the atmosphere are synchronized with the tidal oscillations in Earth’s rotational speed ν. 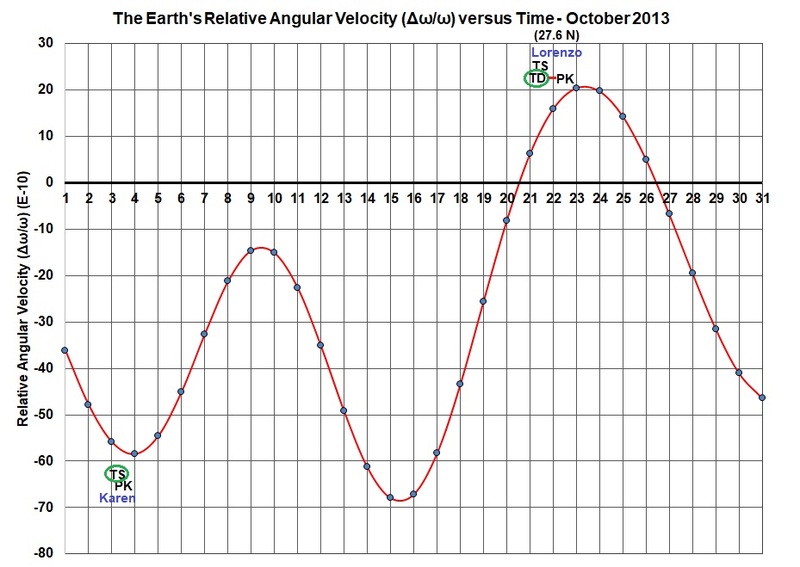 Changes in weather occur near the extrema of the tidal oscillations in the Earth’s rotational speed, which correspond to the times of lunstices (standstills of the moon) and lunar equinoxes. Similar to the 3-month seasons of the year, which are associated with the Earth’s revolution around the Sun, weather regimes have a kind of quasi-weekly weather seasons. The quantization of weather regimes was first described by B.P. Mul’tanovskii in 1915 (1933), who called them natural synoptic periods (NSPs). 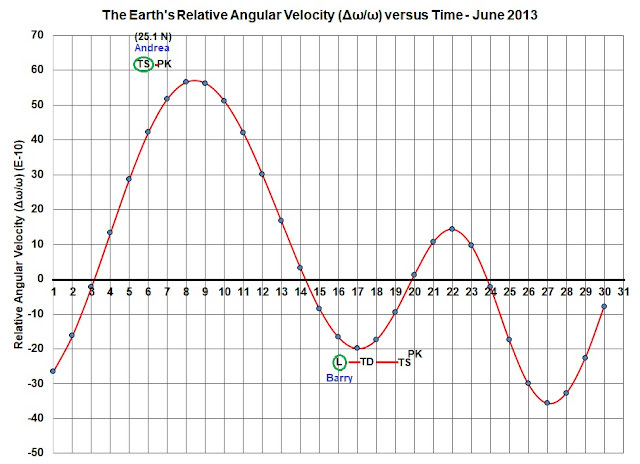 Thus, the NSPs are due to the monthly revolution of the Earth and Moon around their barycenter. Weather responds to the times of lunstices and lunar equinoxes. In contrast to the solar seasons, lunar NSPs are unstable: they vary from 4 to 9 days, with an average duration of 6.8 days. These variations are caused by the frequency modulation of the oscillations in tidal forces due to the motion of the lunar orbit perigee. The plots of the tidal oscillations of ν provide an NSP “timetable,” demonstrating that the NSP durations do not vary randomly. Unfortunately, studies are still being published that incorrectly consider the NSP dynamics in the format of Brownian motion. The most convincing evidence of the influence of lunar tides on atmospheric processes is the spectra of the equatorial components of the atmospheric angular momentum h1 + ih2 (Fig. 3) in the celestial reference frame (CRF) (Sidorenkov, 2009, 2010; Sidorenkov et al., 2014). In Fig. 3, one can clearly see in the intramonthly part of the spectrum the high line of the fortnightly oscillation 13.6 days. The narrowness of the line suggests [the] stability [of] the oscillation period [is high]. The width of the spectral peak of the roughly quarter-monthly, or weekly, frequency in Fig. 3 indicates the instability of the period and the high power of the quasi-weekly waves, whose period fluctuates from 4 to 9 days. These lunar tidal waves are manifested in weather as Mul’tanovskii NSPs. Why have none of the experts on atmospheric tides identified the quasi-weekly and fortnightly oscillations? The reason is that they all use the rotating terrestrial reference frame (TRF), wherein hydrometeorological and hydrophysical characteristics are always measured relative to the stationary terrestrial surface, although the TRF axes rotate with an angular velocity of Ω (1 cycle/day). 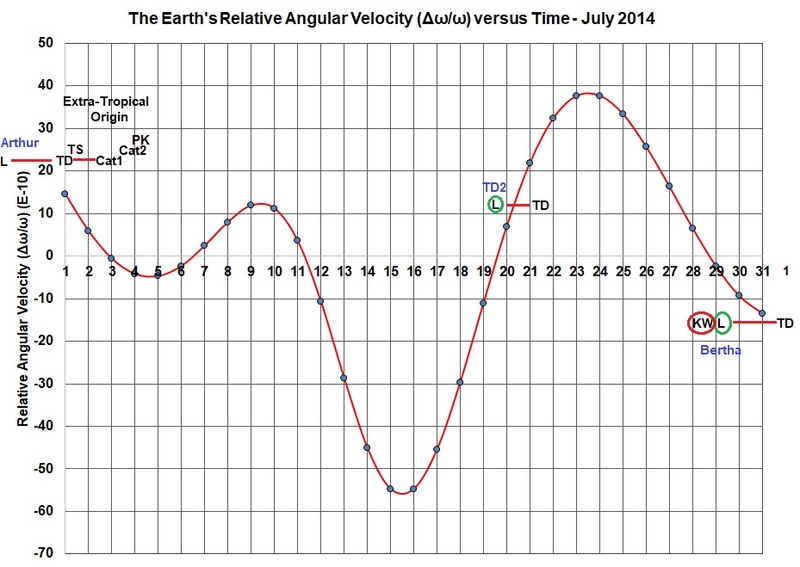 The waves of gravitational tides revolve at very low velocities μ. When analyzing the measurement results, their angular velocities μ merge with the huge angular velocity of the daily thermal tide wave –Ω (the minus sign is due to the rotation of the thermal tidal wave from east to west) and become virtually invisible for research: μ – Ω ≈ –Ω. 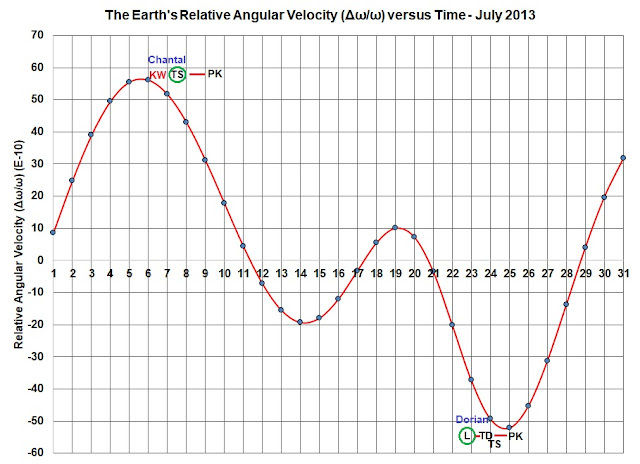 and, after demodulation, it moves from west to east with a velocity of the Moon’s proper motion: ~13°/days. The directions and velocities of the proper motion of tidal waves coincide with those of atmospheric disturbances, and there is synchronization between them (see (Sidorenkov and Sumerova, 2010, 2012) and the website: http://geoastro.ru). It is believed that the effects of gravitational tides must be uniform on global spatial scales. Our longterm experience shows that, at the times of the extrema of tidal forces, there are changes almost everywhere in the Earth’s spheres, but the signs and phases of these changes are different everywhere. In the same way that every port in the world ocean has its own establishment to calculate the maximum high tide, the manifestations of lunisolar tides in the atmosphere are local. The reason is that, when moving in the atmosphere, the tidal waves (which are up to 28 000 in number in modern expansions of the tidal potential) are reflected from orographic obstacles, as well as baric and thermal inhomogeneities, and interfere with one another to create a variegated interference pattern. Based on the studies of oceantides, the atmosphere may have nodal amphidromic points (at which the tide height is zero at any point in time), where there are no tidal oscillations, and antinodes, where tides are amplified by an order of magnitude. 2. Sidorenkov, N.S., 2009: The Interaction Between Earth’s Rotation and Geophysical Processes, Weinheim: Wiley. a) 13 Tropical Depressions/Tropical Storms/Hurricanes support the claim above. b) 2 Tropical Depressions/Tropical Storms/Hurricanes definitely DO NOT support the above claim. CATN = Category N Hurricane where N = 1, 2, 3, 4, or 5. Here are Some Details About the Buildup of North Atlantic Storms and Hurricanes. (AL082014) states the following about the buildup of this meteorological event. "The development of Gonzalo can be traced to a tropical wave that departed the west coast of Africa on 4 October. The wave was accompanied by a large area of cloudiness and thunderstorms while it moved westward across the tropical Atlantic during the next several days. During this time, an upper-level trough over the subtropical eastern and central Atlantic produced strong upper-level westerly winds over the system, which prevented development. Showers and thunderstorms associated with the wave became more concentrated after the passage of an eastward-moving atmospheric Kelvin wave around 10 October. Shortly thereafter, the tropical wave passed west of the upper-level trough- axis and into an area of less hostile wind conditions, and a small surface low-pressure area formed late on 11 October. Thunderstorm activity associated with system increased in organization, and it is estimated that a tropical depression formed around 0000 UTC 12 October about 340 n mi east of the Leeward Islands." (AL052014) states the following about the buildup of this meteorological event. These two quotes show that some potential North Atlantic hurricanes and tropical storms begin their lives as a wave-like disturbance in the near-equatorial North Atlantic Ocean that move west towards the Carribean and North America. At some point in their journey, the showers and thunderstorms associated with these wave-like disturbances become more concentrated and more organized, leading to the formation of either tropical lows (L) or depressions (TD). In addition, the two quotes point out that the increasing concentration and organization of the shower and thunderstorm activity associated with these disturbances comes about through their interaction with east-ward moving atmospheric (equatorial) Kelvin waves (EKWs). 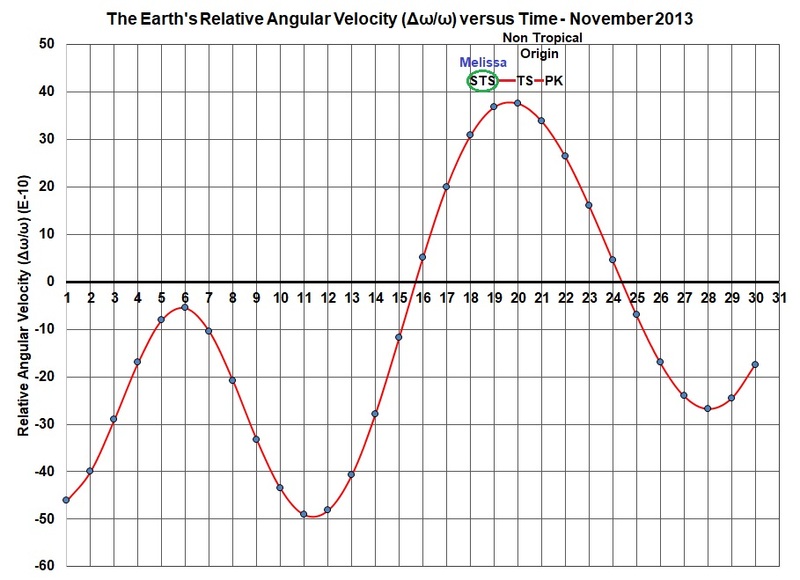 the peak in the lunar-induced tides passes through the local meridian at either 4:00 a.m. or 4:00 p.m. local time when the diurnal surface pressure is a minimum (Note: this takes place roughly once every quarter of a synodic month = 7.38 days). In addition, I have proposed that, whenever the peak of the Moon's tidal bulge crosses the Earth's equator* or whenever it reaches its maximum distance from the Earth's equator i.e. lunar standstill* (Note: this takes place roughly once every quarter of a lunar Tropical month = 6.83 days), tropical low-pressure cells are formed in the (near-equatorial) tropical oceans. In the Atlantic Ocean, these lows are generated as westerly-moving Equatorial Rossby waves that are spawned from the trailing edge of the easterly-propagating (equatorial) Kelvin waves. Bottom Line: If the NOAA National Hurricane Center Tropical Cyclone Report mentions that the formation of a tropical low, depression or storm was influenced by an interaction with an easterly-propagating Kelvin Waves, it will be noted in all future figures. Note: If the NOAA National Hurricane Center Tropical Cyclone Report indicates that the origin of the tropical low, depression or storm was Non-tropical, this will be noted, as well. a) Eight Tropical Depressions/Tropical Storms/Hurricanes support the above claim. b) Two Tropical Depressions/Tropical Storms/Hurricanes definitely DO NOT support the above claim. There were no North Atlantic tropical depressions, storms or hurricanes in November.